What would we do without conductors? Would we be wandering aimlessly around the musical streets, searching for direction signs? Conductors offer ideas, projects, sense of purpose, interpretations, and guidance, not to mention encouragement and inspiration. For example, take the Classical Music Consort, conducted by the new kid on the block, Ashiq Aziz. If it’s Haydn that you’re seekin’, take a look at his extraordinary concert series dedicated to Franz Joseph Haydn, marking the 200th anniversary of his death. Highlights of the CMC series include Haydn’s twelve London Symphonies, Nos. 93 to 104, in four concerts, in the order they were first performed, to allow the listener to hear the progression of compositional refinement. I tell him that I notice the CMC performances use period and modern instruments. Aziz says he is aware of the differences, but his general approach is not significantly changed. “The concepts, with respect to phrasing and articulation, remain the same. It is just when dealing with balance issues that it becomes slightly more complicated, as modern instruments generally sound brighter and louder. Also, achieving the phrasing and articulation that comes naturally with period instruments is sometimes more difficult, as players have been trained in a different manner.” Aziz is thankful that his players are “open and flexible in trying out different manners of interpretation” and that rehearsal time enables them an opportunity to overcome these obstacles. His enthusiasm is infectious. His website: www.ashiqaziz.com. There are more Haydn performances coming up. Giles Tomkins will be singing a selection of Haydn’s Scottish song arrangements (September 25); the Salomon quartets will be presented in their entirety by the Windermere and Cecilia string quartets (September 10, and October 7, respectively); Adam Sherkin will perform three London piano sonatas (April 22); and the most famous of his many trios, the Gypsy Trio in G Major, along with a few other trios will be played by the Duke Trio (May 14). See the website for more details: www.classicalmusicconsort.org. Also commemorated this year is the 250th anniversary of Handel’s death. 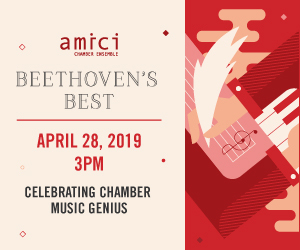 This month, the Toronto Chamber Choir, under the direction of their new conductor, Mark Vuorinen, is presenting a reconstruction of a Vespers service comprised of music from Handel’s Italian period, around 1707, some chant, as well as the demanding Dixit Dominus (March 28). Website: www.torontochamberchoir.ca. And the Tafelmusik Orchestra, Chamber Choir and soloists, under the guidance of Ivars Taurins, perform festive choral music (March 12 – 15) by Handel (Ode to St. Cecilia) and Zelenka (a mass dedicated to St. Cecilia). Canada’s conducting Wunderkind Yannick Nézet-Séguin, now music director of the Rotterdam Philharmonic is, in fact, conducting many of the leading orchestras of the world (such as the London Philharmonic). He will be in Toronto (March 29) conducting a performance of Bach’s St. John Passion, marking his fifth appearance with the Bach Consort. Maestro Nézet-Séguin has led their Christmas Oratorio, the B Minor Mass, the St. Matthew Passion, and now, the St. John Passion. For many, he has certainly proven his mastery in conducting the music of this Baroque master. Correction: In last month’s column, I incorrectly stated that the Women’s Musical Club of Toronto had presented the Flanders Recorder Quartet, when, in fact, they had presented that other ensemble, the Amsterdam Loeki Stardust Quartet (in 2003). Sorry for any distress this may have caused. Frank T. Nakashima (franknak@interlog.com) is the President of the Toronto Early Music Centre, a non-profit charitable organization which promotes the appreciation of historically-informed performances of early music.